Meet 3-4 yr old sweet Linsday. 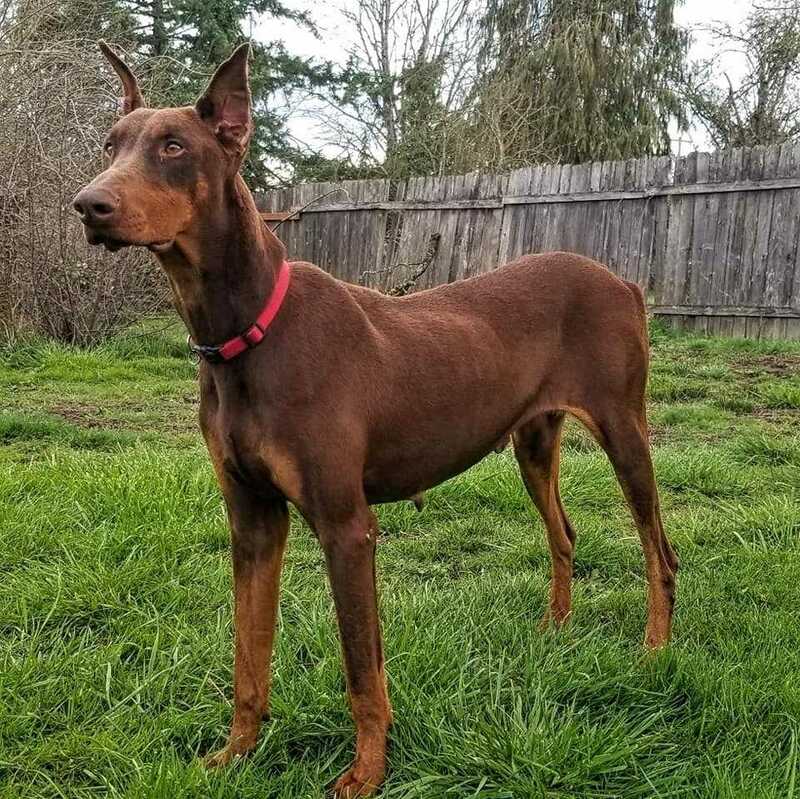 Shes special pure bred dobie (we assume) is a total sweet heart and best friends with Midori (another dobie she came in with). They would do great in a home together but were not found together so could easily adjust to seperate home life. She was found a skelaton, literally skin and bones, but all fattened up now and ready to find her forever family. Shes been wonderful in foster with other dogs and a toddler, sweet girl like most dobies and sensitive, very loving. She is scheduled to be fixed, so we are looking specifically for a foster to adopt for her, and adoption includes being microchipped, current on flea/tick prevention meds and has been dewormed. They come with a collar, 2 free vet exams, a bag of grain free dog food, and a private training session with certified trainer, and more! adoption fee: $400. We accept Cash and Debit/Credit Cards. There is a 2.5% fee if using a card at the time of adoption. If interested in meeting this dog, please email: adopt@luckypawssite.org to request an application or come down to our public adoption event this Saturday 3/30 12:30-4pm at Petsmart in Eugene (2847 Chad drive) in the back of the store.